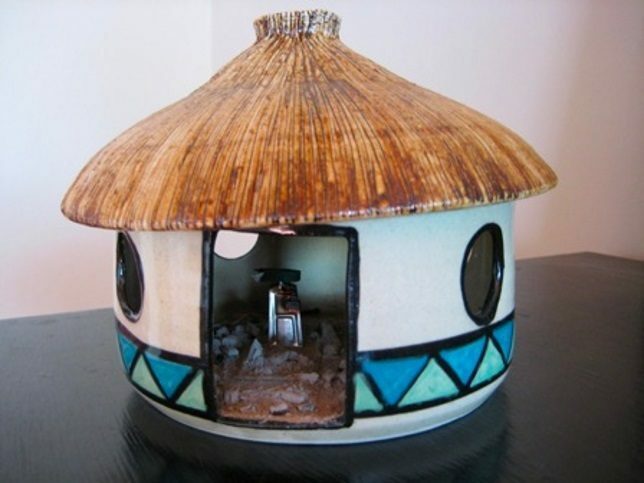 Modern mosquito-borne diseases like Zika and West Nile fever call for traditional insect repellents like pyrethrum mosquito coils and creative coil holders. 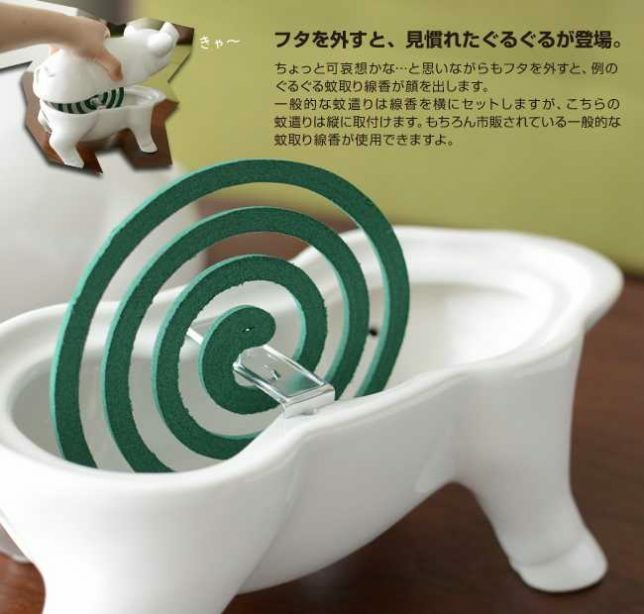 The classic mosquito coil was invented in Japan over a century ago and has changed very little over time. 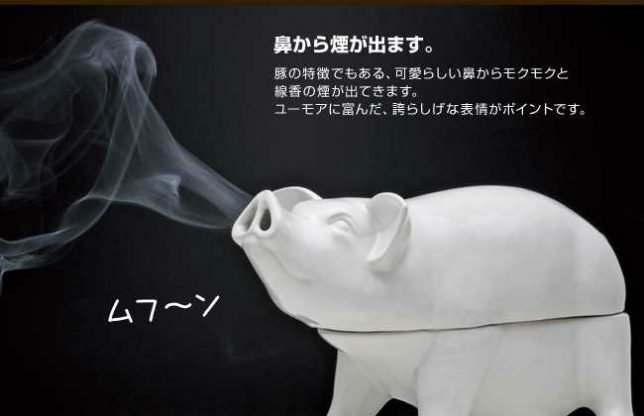 Ditto for the coil holders, usually made of heat-proof ceramic traditionally crafted in the form of an open-ended pig. 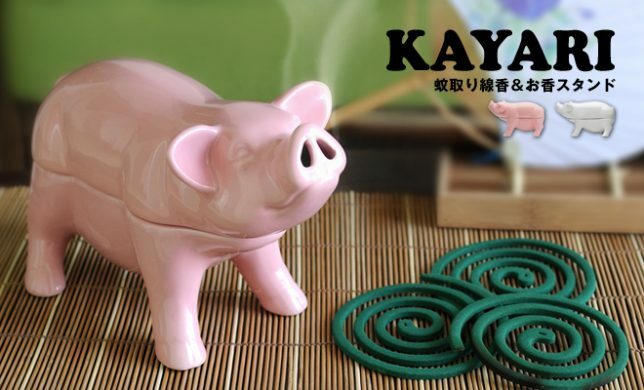 Called “katori buta“, these hog-like holders have become symbolic of summer in Japan, Australia, Africa and South America, where smoldering mosquito coils have always been the go-to skeeter repellent. The coils are made mainly from Pyrethrum derived from the powdered seed heads of Tanacetum cinerariifolium, a type of Chrysanthemum. 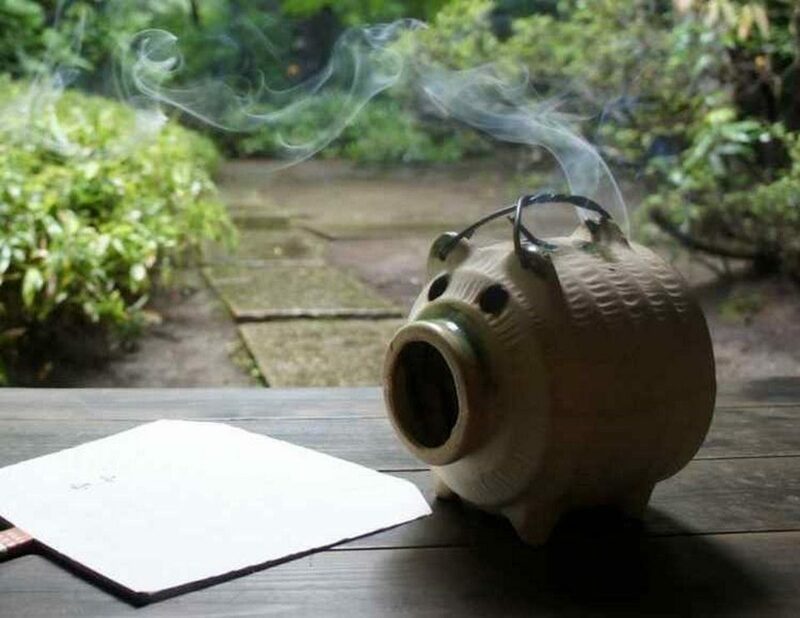 Considered non-toxic to humans and pets, the smoke emitted by mosquito coils effectively repels any and all insects while its coiled design ensures it will smolder for roughly 7 to 9 hours. 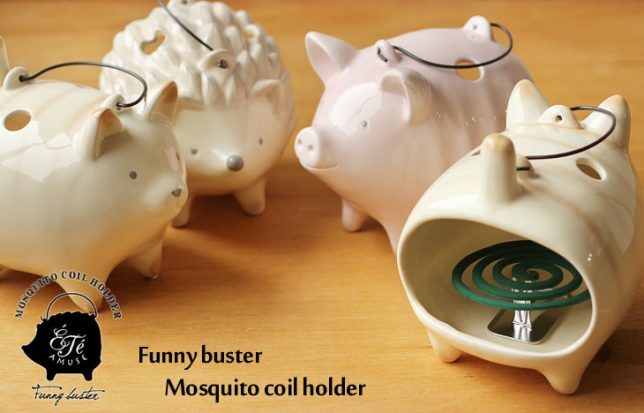 Some variations on the classic pig-design coil holder evoke cows, cats and even hedgehogs should one be feeling a tad kosher. Others take the opposite tack and, er, totally and realistically pig out. 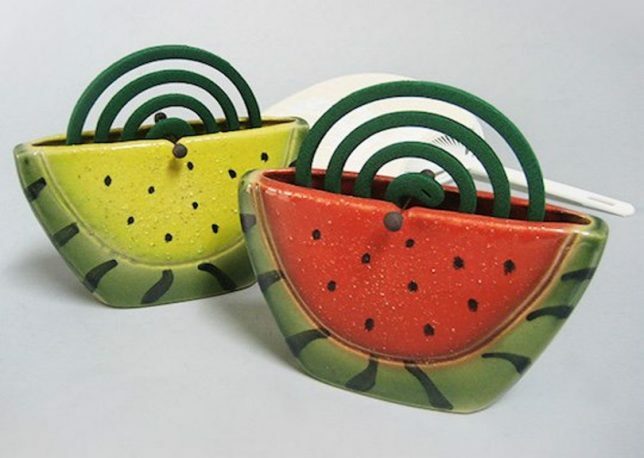 With over a century of use to work with, creative types have come up with a plethora of mosquito coil holder designs with which to complement your newly bug-free home. 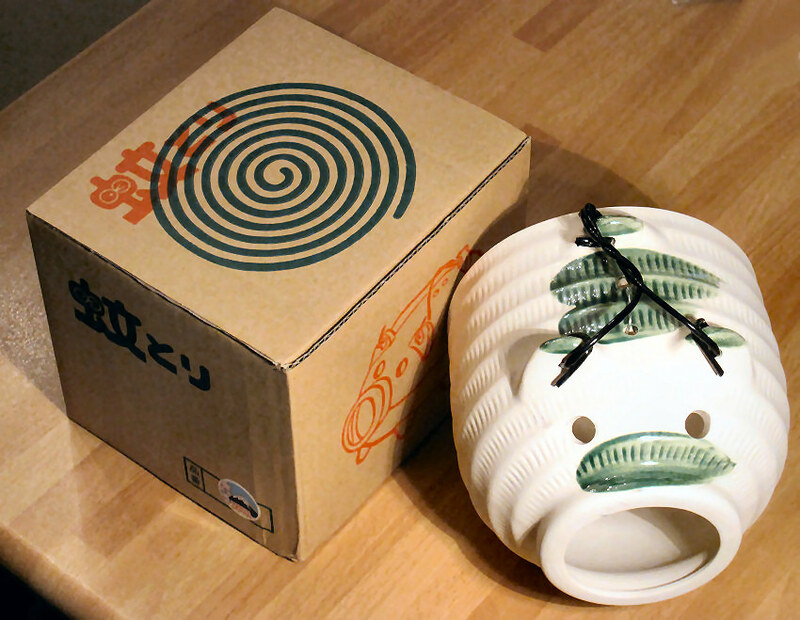 Here is the Shigaraki-yaki Watermelon Ceramic Mosquito Coil Holder, individually made in Japan and available in red or yellow. Mosquitoes can transmit a number of debilitating illnesses and in sub-saharan Africa, malaria is endemic. 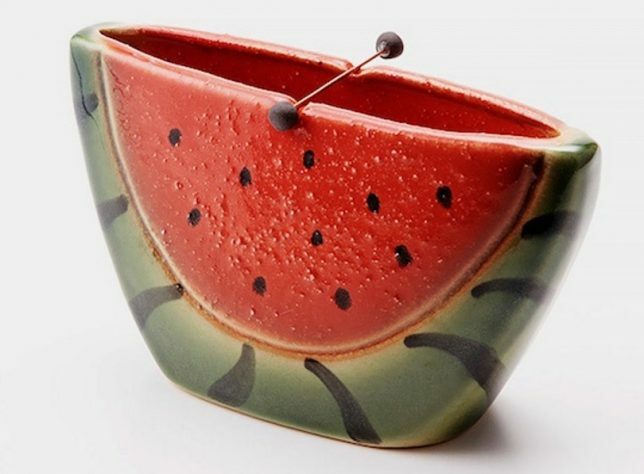 No surprise, then, that in Malawi if one wants a mosquito coil holder it’s a simple matter of browsing the local pottery market. 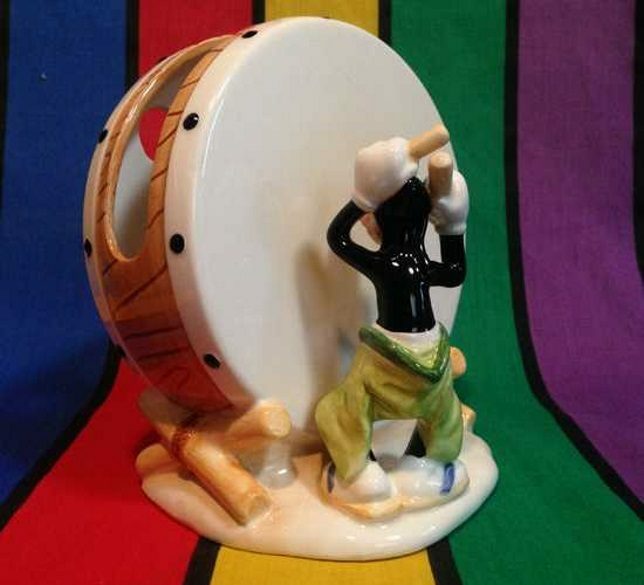 That’s where Matt & Rachel Floreen of Africa Stories found this delightful hand-made ceramic coil holder. Some folks want to set tradition aside, others chuck it out the window – and nail the window shut! 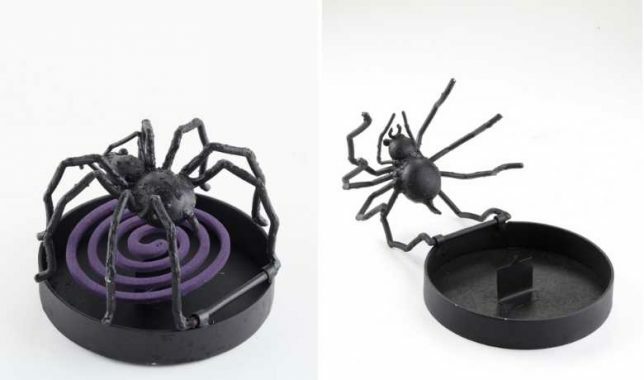 Take this spider-themed mosquito coil holder from northern Thailand, if you dare. The matte black finished steel holder is no doubt child-proof while using it should keep your home skeeter-proof. In related news, some mosquito coils in Thailand are purple. 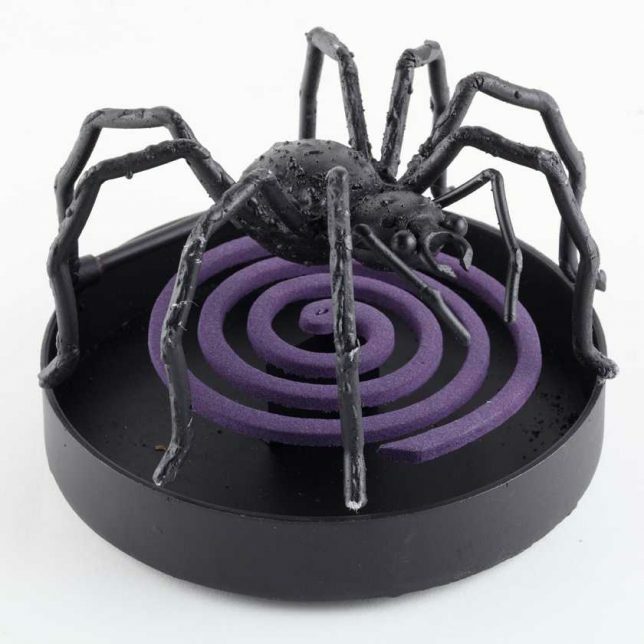 Here’s a goofy mosquito coil holder listed for sale at T3-Toys. 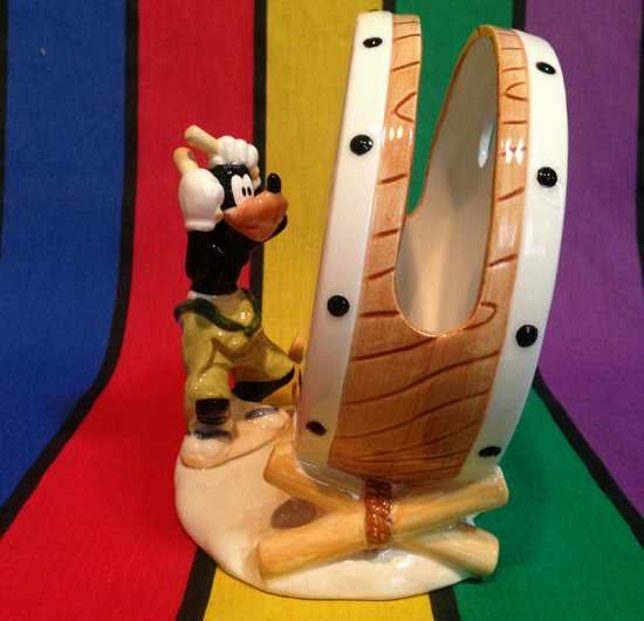 We’re not “hav’n a go,” by the way, it really is a Goofy mosquito coil holder – officially authorized by Disney and sold sometime in the ’90s at Tokyo Disneyland. 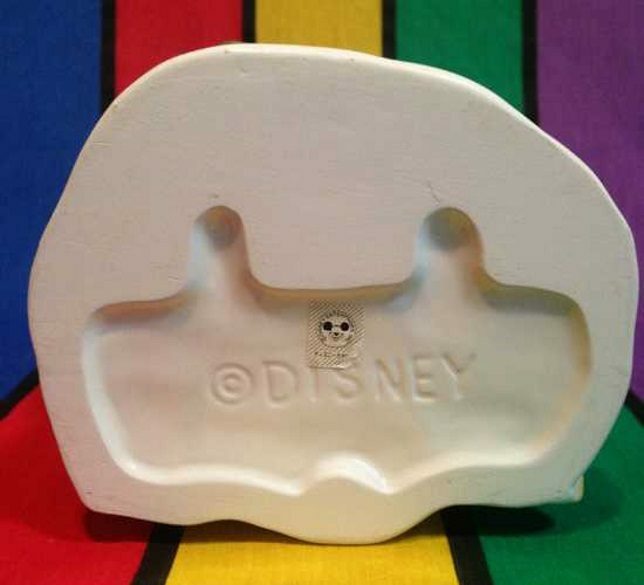 Guess it’s a better souvenir than a dumb t-shirt.